Castle Comfort Stairlifts offers top brand stairlifts, keen prices and fast installs for all those seeking stairlifts in Torquay. And all work comes with our no-quibble guarantees and famous customer service satisfaction. Here we go again. A slightly longer journey this time coming up from Truro in Cornwall and crossing the Devon border and on to Torquay, a journey of some 85 miles. Here in the beautiful West Country if you or a loved one is looking for a stairlift, we can point you in the right direction! 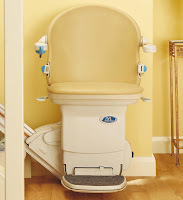 Castle Comfort Stair Lifts has a local office in the area to answer all your questions. Basically as national agents for all stairlift manufacturers we can advise on the right kind of stairlift to suit you and your budget. Take a look at our video where our founder Keith tells you all about Castle Comfort and then give your local office a call on 01395 349198. Meanwhile back to Torquay, once reliant on fishing for its economy just like nearby Brixham but now a definite seaside resort known as the English Riviera for its healthy and temperate climate and its likeness to Montpellier on the French Riviera. The Victorians were the first to really recognise its potential as a resort although it had been a favourite place for The Royal Navy during the Napoleonic Wars when ships docked and their crew came ashore. 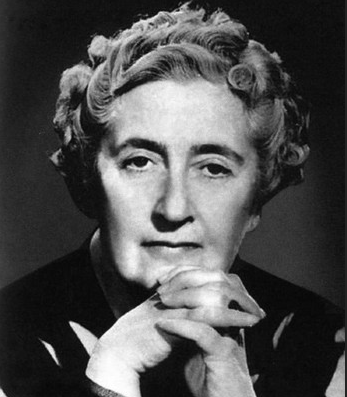 Agatha Christie, the famous crime writer best known for her Hercule Poirot and Miss Marple stories, lived in Torquay and you can now enjoy a tour of the town dedicated to her life and work, Agatha Christie’s Mile. 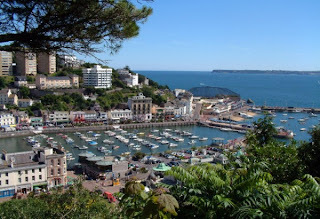 Torquay has many other tourist attractions which include its seafront and everything associated with an English seaside resort. Kents Caverns are another; this cave system is Britain’s most important Stone Age site and one of archaeological and geological interest. It attracts aver 80,000 tourists a year and Agatha Christie was known to visit as were King George V, Beatrix Potter and Haile Selassie, one time emperor of Ethiopia. You can also visit Living Coasts at Torquay, a coastal zoo. What can you see here? Well the most likely exhibits are sea birds and other coastal wildlife. There is a giant Aviary which houses many of the birds and also aquariums where you can see Sting-Ray and other fish; in the free flying aviary you might glimpse birds as well as animals: sea ducks, pied avocet, redshanks, black-knecked stilts, ruffs and terns as well as African and Macaroni penguins and South American Fur Seals. There is also a tropical mangrove swamp and a collection of underwater viewing areas. There is also a ‘local coasts’ exhibit showing off local wildlife such as seahorses and starfish. If you are part of the ‘local coastal life’ of Torquay but not as nimble as you once were, maybe Castle Comfort Stair Lifts can help? If your natural habitat is less than accessible, talk to us about a stairlift so that you can get up and down those stairs – we certainly won’t make an exhibit of you! Call us on 01395 349198 to discuss how we can help. Of course if you are a business looking for a commercial passenger or wheelchair lift (DDA compliant), Castle Comfort Stair Lifts can help you too. Speaking of tourist type businesses in Torquay did you know that it was whilst John Cleese was staying in Torquay for the filming – here and in nearby Paignton - of the classic Monty Python’s Flying Circus (1969 -73) that he had inspiration for the popular sitcom Fawlty Towers (1975-9); in the 1970’s several episodes of The Goodies were also filmed in Torquay. Elizabeth Barrett Browning stayed here ‘for her health’ and Oscar Wilde wrote A Woman of No Importance whilst staying in the area. 1960’s comedian Peter Cook hails from Torquay; Cook famously partnered Dudley Moore in a series of TV programmes. Current comedienne Miranda Hart was also born in Torquay; as was cinematographer Roger Deakins known for his cinema work with the Coen Brothers. Another famous daughter from Torquay is high-earning model Lily Cole. We hope you’ve enjoyed hearing about some of the delights that Torquay holds. Please remember to give Castle Comfort Stair Lifts a call on 01395 349198 if you need some advice about stairlifts. Our website has comparison information and if it all seems a bit daunting, there are funding grants you can apply to as well as 0% finance options. We can also supply reconditioned models or take your old one in part-exchange – the options are limitless and there’s still the £50 voucher which you can use towards the purchase. "What do you expect to see from a Torquay hotel bedroom window? Sydney Opera House,perhaps? The hanging gardens of Babylon ? A herd of wildebeest. .... or a stairlift possibly ?" If the DDA (Disabiliy Discrimination Act) is applied in the next few years you won't see stairlifts from your hotel bedroom in Torquay (or anywhere else in Devon) - you'll see them as you leave the room. Because they will be at the top of every hotel stairs! Very interesting choice of stairlifts in Torquay. Torquay is a landmark that many people ignore. Among this great summary of Castle Comfort also is interesting to point out the great importance it had in World War II. In the port area there are several antiaircraft defenses. Also interesting is Beacon Quay Bay, where thousands of men departed for the famous Normandy landings. Many thanks to Castle Comfort for the information. Torquay is famous for the celebrities who have been born there and many still reside in this lovely Devon town. Maybe many of them know that in their later years there is a good stairlifts supplier to keep them safe and comfortable in their own homes!